Cardi B might break her next record at the box office because she just inked her first movie deal … TMZ has learned. We’re told the “Bartier Cardi” singer begins filming in March, so seeing her on the silver screen might happen sooner than you think. One source told us … because of filming, Cardi’s had to turn down other gigs in March that would’ve made her between $100k-$200k. 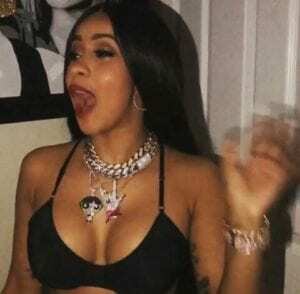 Cardi B recently became the first woman with five top 10 hits on the Hot R&B/Hip-Hop Songs chart in a single week ever, ousting Beyonce’s previous record of 4.